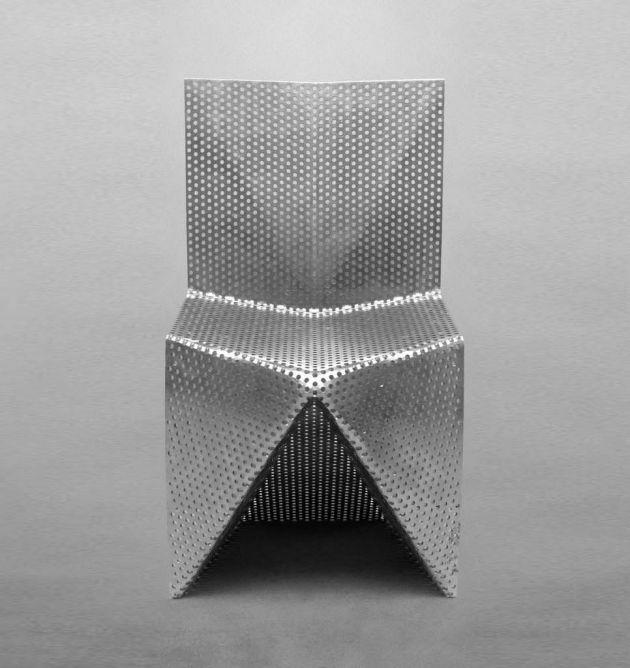 Belgian architect Tobias Labarque has created an aluminium chair. 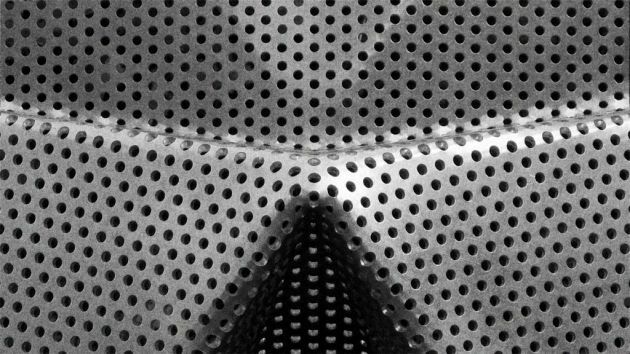 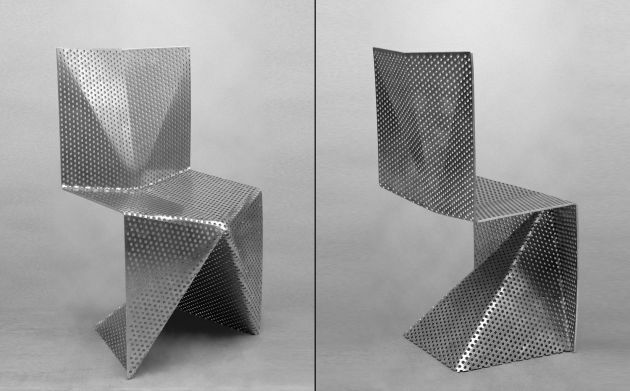 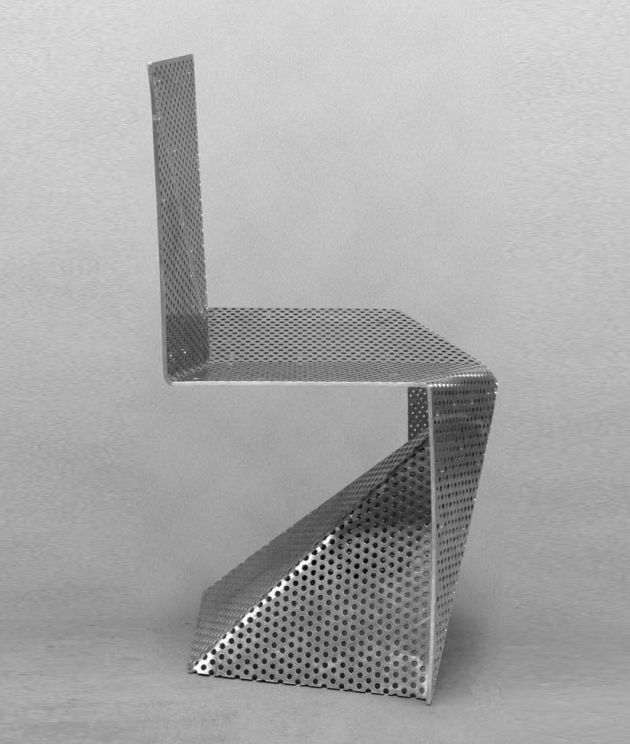 Cantilever-type chair made from a single piece of perforated aluminium plate. 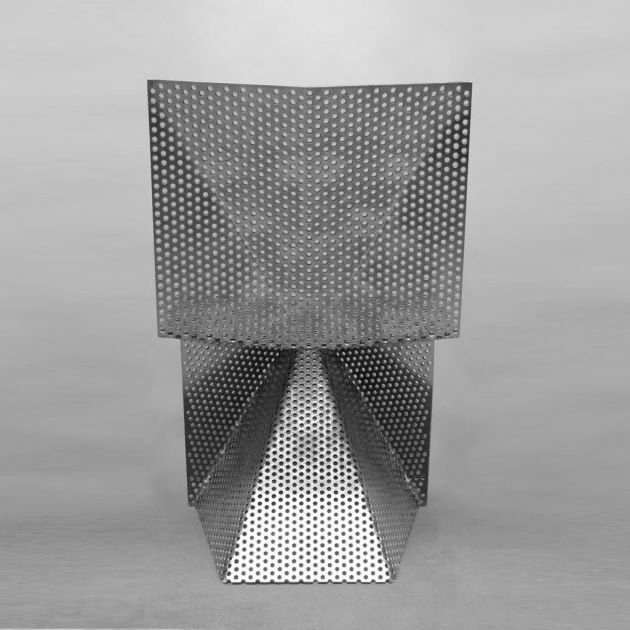 there are no joints, no connections, no welding, no details, … just a (meticulously) folded plate. 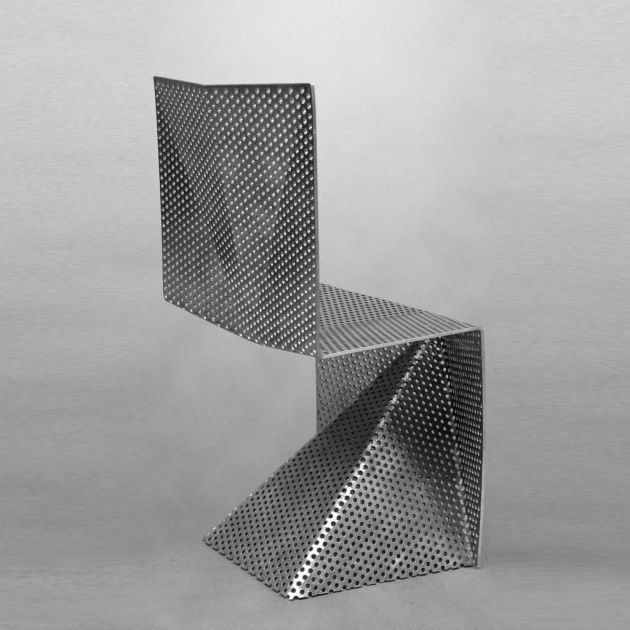 The chair is stackable and is fit for both indoor and outdoor use. 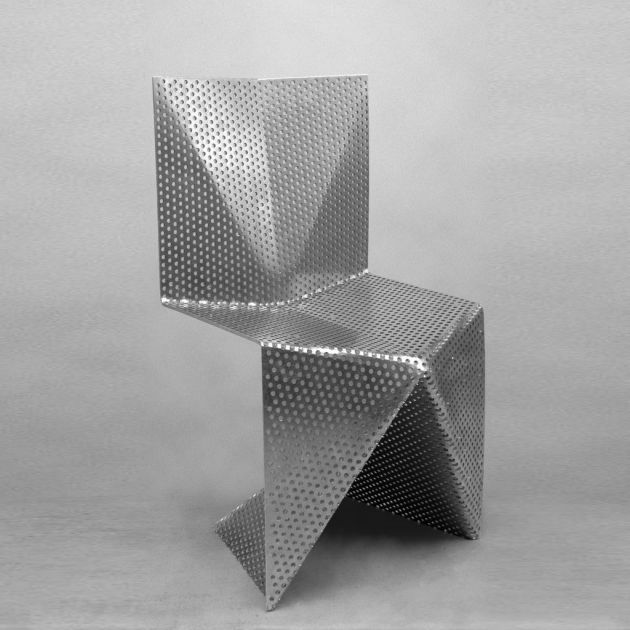 It looks quite aggressive, but sits very comfortable.